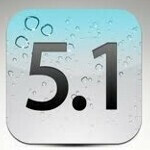 Apple has done a favor for its power using customers by reinstating the "disable 3G' option in iOS 5.1. By disabling the 3G connectivity of the Apple iPhone or Apple iPad you are using, data speeds will slow but battery life may increase. Apple even reminds users underneath the toggle switch on the software that, "Using 3G loads data faster, but may decrease battery life". 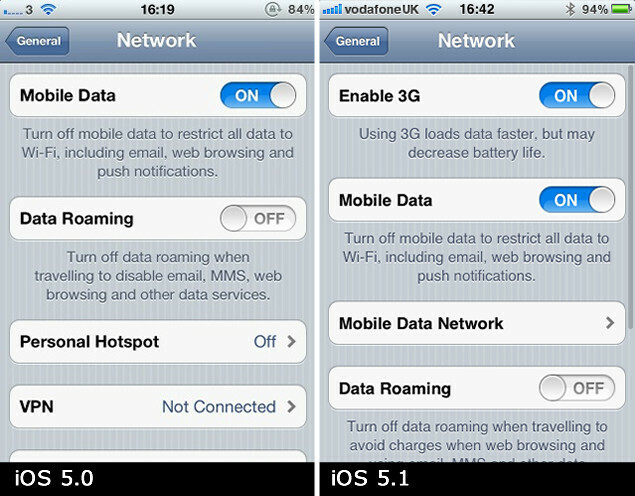 The option to disable 3G connectivity was removed from the software in iOS 5.0. Some of the new features in iOS 5.1 include Japanese language support for voice activated personal assistant Siri, movie support in iCloud and a permanent camera shortcut for the lock screen. The camera's face detection feature now highlights all detected faces. And besides adding the option of disabling 3G connectivity to increase battery life, iOS 5.1 also fixes some bugs related to the battery. For those rocking their Apple iPhone over AT&T's network, iOS 5.1 also replaces the 3G icon with a 4G one. This does not mean that your Apple iPhone 4S has magically become a 4G phone overnight. We have previously explained the reasons why the AT&T variant of Apple's smartphone is technically not a 4G device. And if you don't see the disable 3G option on your iPhone, it means that you haven't yet installed iOS 5.1. You can do that by using the Software Update function on iOS or by hooking your iPhone to iTunes via your computer. I have a 4S and I updated to iOS 5.1 but it does not give the enable 3G option. I updated 5.1 & had 4S. I gave me 3G turn off option. is there anyone who have used both 4s and android ? I think a lot of people have, including me. Why? just wanna know which one's better and why? Just perspective and preference. They both have their pro's and cons. I say do research and no listen to biased opinions on the board here. You're going to get nothing but uneducated hate talk from both ends. If you want, I can send you an unbiased break down for both. I've had both and love both. Just different pros and cons for both. Listen to MobileCaseReview, Its hard to get an unbiased opinion here. Way too many trolls. All depends on your preferences really. Most of the people i know including myself prefer iOS due to its simplicity and overall great user experience. However i also have friends who love android for the freedom it gives them to hack and configure their phone to exactly how they like it. oh i missed that first time round! You created an account just to bash Phonearena & Apple??? I did the update on my 4S and now my camera will not launch from the lock screen. The wife's iPhone 4 had the same result after the update. You scroll the cam icon up instead of just tapping it. I can't update to ios 5.1!!! Please help me! After I updated Siri sounds different.... Has this happend to anyone else?